Hey guys! Sooo I’m not really a beauty blogger, but I did say if I found something I liked and thought you should know about, that I’d tell you. So I was whinging about being so white and feeling it was necessary to wear tights if I was going out out, ya know. When lo…I came across an Instagram by fellow blogger Bebhinn at A Judge Less Life, about Cocoa Brown Tan. Short story shorter, she recommended it. 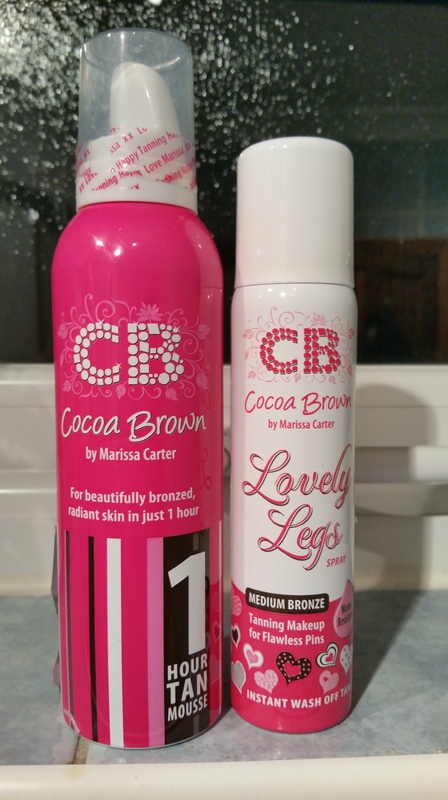 I picked up the Cocoa Brown Ihr Mousse and Lovely Legs back home for €9.99. I haven’t tried the Lovely Legs yet so this review is only on the mousse. In preparation for my first attempt at self tanning, I had a shower and body scrub that morning, at about 9.00 that night I had another shower and went about applying the tan. I followed Marissa’s tan tips and painted my toe and fingernails beforehand, and rubbed some moisturiser onto my knees, elbows, ankles and heels…well basically anywhere that any tan seems to cling like a limpet to. I used a Superdrug tanning mitt to apply the mousse. The 1hr Tan Mousse is lovely, there’s no smell and it goes on really well and dries really quick. You can easily see where you’ve applied it to. I gave it a few minutes and got into me pjs. Marissa says for a lighter tan wait one hour, a darker tan, wait 3hrs. I figured with the repellency of my legs I may as well give it the longer. So I spent the next three hours farting about with my hair and ruining my nails. 3hrs gone, I jump in the shower and rinse off. Hmm, my sister said I still looked white. I have to say I wasn’t convinced it had worked but the next day my hands looked lovely and golden. 🙂 The tan does continue to develop once rinsed off anyway and I think by the end of the next day I could definitely see the difference on my forearms and feet. 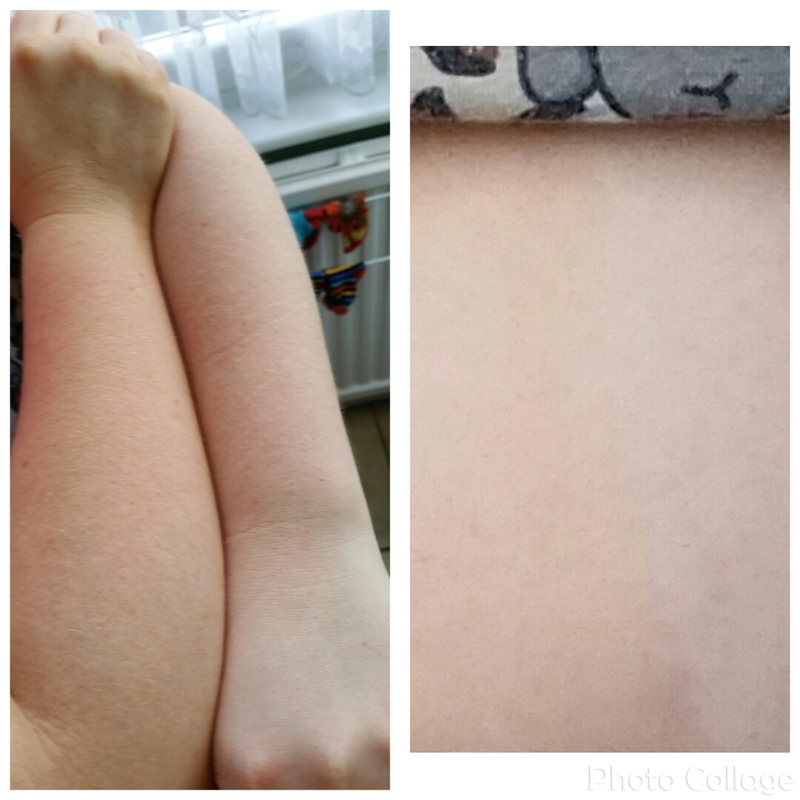 To give it a fairer go though and for myself and you guys, I decided last week to tan half of my body. I mean who’s gonna notice…it’s not shorts weather yet boys! So for 3 out of 4 nights last week I body scrubbed with each shower, (as suggested on the back of the mousse tin) and on the 5th night I applied the tan as before. Unfortunately though, I fell asleep before rinsing it off, so I actually slept in it. (Ok…Ok…when I say I “fell asleep” in it, I baked a cheesecake, watched a movie, then it was 2.00 and I couldn’t drag myself back into the shower.) Saturday morning though, I hopped into the shower, rinsed off…moisturised and ta daaaaah!! I could definitely see the difference this time. It’s Sunday evening now and I think it actually looks as good now as it did Saturday so I’m very happy with it. I dread the tops of my arms, but with a hint of bottled sunshine I’m definitely happier to let them out without a cardi! < Previous Wedding guest prep….eeek!